Nearly after two and half years after a terror attack that triggered Pak-India border conflicts, another terror attack, deadlier and more shocking than the previous one, has led India and Pakistan to resort to their old practices of accusing each other of supporting terrorists. Can this conflicting situation between these two countries be brought to an everlasting end without reigning over the non-state actors who, time and again, manage to disrupt any efforts that are initiated for improving relations between the two countries? Let’s take a look at the imbroglio of the Kashmir crisis that continues leading the two neighbouring countries to embitter their relations. One of the main reasons for the recent Pakistan-India border conflicts was the terror attacks in Indian Punjab and Kashmir during 2016. Since those attacks, it became a policy of India and Pakistan to blame each other for any terror incidents that took place in their countries. Irrespective of whose claim was more authentic, the real perpetrators of these attacks did manage to achieve their basic goal – lead Pakistan and India to border conflicts and let them bleed for no obvious reason. The complexities of the Pak-India conflicts remain a mystery without reviewing the role of militancy in this war theatre. Two terror attacks in India were the basic cause for pushing Pakistan and India into border conflicts that have been going on to this date. The first attack was on January 2, 2016 when the Pathankot Air Force Base in Indian Punjab rattled with gunfights as some militants had been able to sneak into the base in very mysterious circumstances. Five militants and three security personnel were found dead after the clearance operation was complete, leaving India awestruck as to how those militants could manage to stage such a daring attack. As an immediate reaction, Pakistan went ahead and took the chief of Jaish-e-Mohammad (JeM), Maulana Masood Azhar, under protective custody besides many other militants associated with JeM based on the information provided by the Indian intelligence agencies. The Adviser to the Prime Minister (PM) on Foreign Affairs Sartaj Aziz had reportedly admitted that one of the mobile phone numbers linked to those who had attacked the Pathankot airbase had been traced to the JeM’s headquarters in Bahawalpur. While the mystery surrounding the Pathankot Air Base attack was still lying unresolved, another militant attack took place at Uri army base in Indian-administered Kashmir, killing at least 17 soldiers on September 18, 2016. Emotions escalated and once again, Indian security officials pointed their fingers at JeM saying, “All four killed were foreign terrorists. Initial reports indicate that the slain terrorists belong to JeM.” Extremism instead of tolerance reciprocated and after going through claim and counter-claim exercises, India began cross border firings from October 20, 2016 onward and within a week Pakistan lost seven civilians who were living close to the border areas of Harpal, Chapar, and Palani sectors. A retaliatory firing from Pakistan side began on October 27, 2016 and by the end of the year there were 49 fatalities on the Pakistani side and 40 on the Indian side. In the next two years (2017-18), both countries lost more people to cross border firings – 155 in Pakistan and 100 in India. Amid this cross border firing, the incidents of terror attacks also continued occurring in Indian Kashmir. 750 people in the state perished within the last three years. Among the victims, there were nearly 100 militants whom India reported as Pakistani intruders. With the exception of a few of these militants whose names and addresses were provided in the Indian reports, all others remained as unidentifiable intruders. Some of these so-called Pakistani intruders were reported as affiliated with JeM and Lashkar-e-Taiba (LeT). Pakistan never rejected these claims and rather, treated such reports as a disinformation drive from the Indian government meant to portray freedom fighters as militants. While the Pak-India cross border firings and incidents of militancy in the Indian Kashmir were going on, an electoral result in Pakistan brought the Pakistan Tehreek-e-Insaf (PTI) to the helm of affairs that started pursuing a policy of initiating dialogue with India for resolution of issues that have been the cause of conflicts between the two countries. In one of his interviews, Pakistan’s Foreign Minister, Shah Mahmood Qureshi said, “War with India is not an option; the only solution is dialogue.” India, on the other side, continued showing its reluctance in holding any dialogue with Pakistan, citing the abduction and killing of policemen in Kashmir and issuance of stamps in Pakistan, honouring Kashmir’s militant commander – Burhan Wani, a homegrown militant from the Pulwama district of Indian Kashmir. What it shows is a fundamental policy difference between India and Pakistan where no easy solution can be sought through dialogue when both of them have an ideological position that is the opposite of the others. It’s often reiterated that it is the rulers and not the people who fuel the fire of hatred and lead countries towards war. What recently happened in India and Pakistan after the deadly suicide attack in Pulwama is a reflection of how an official policy gains popular following among the people. The Kashmiri Muslims have now become a frequent target of hatred in India because a heinous crime of killing the paramilitary forces was committed by a Kashmiri Muslim. On the other side of the border, some Urdu newspapers in Pakistan covered the Pulwama attack by admiring the suicide bomber as a “martyr” who sent the victims to hell by sacrificing his life. A reminder of how the former chief of Jamaat-e-Islami called Tehreek-e-Taliban Pakistan (TTP) chief, Hakimullah Mehsud, a martyr when he was killed in a US drone strike. 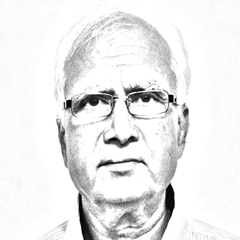 The Kashmir issue is a real test case for the governments and the people of both countries. Those who are freedom fighters for Pakistan are enemies for India and this is the basic complexity of the Kashmir dispute. How can a dialogue can make the leaders of the two countries change their stance on these definitions when they are the ones who had painted these two different pictures and made people believe in what they were shown. A mindset has been created that varies inversely in both the countries and rule the roost now. Any change in this classification is going to render policy makers of these countries to lose their credibility in the eyes of their own people and will ultimately result in turning the condemned into heroes or vice versa. Who is going to take that bold step and when? No lasting solution to Kashmir issue appears to be possible until this dichotomy is resolved amicably. Freelance journalist and Senior Research Analyst at Center for Research and Security Studies. Published in Daily Times, March 6th 2019.